SHOP NOW! 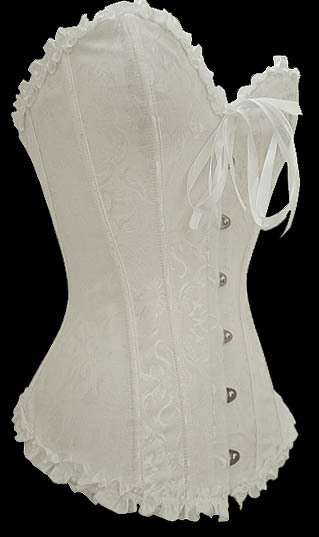 > Sturdy white corset with stunning layered skirt - choose skirt length Sm-6XL White Black Red Corset Choices! This item has moved - Click below for the Red Tapestry Corset, White Tapestry Corset or the Black Tapestry Corset - all areavailable with choice of skirt color and length. Size Click on the desired color above to go to the new order page-thank you!